Aerocon’s modular auxiliary fuel systems are an easy way to extend the range of your aircraft. 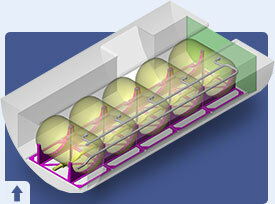 A wide variety of configurations are available to match your operational requirements. With an extremely low 0.99 lbs installed weight per gallon of fuel carried, Aerocon’s systems provide an optimal balance between fuel capacity and system weight. The Aerocon system is designed for easy installation, operation, and maintenance, with state-of-the art electronics and robust manufacturing principles. And, like every product we sell, it’s backed by Aerocon’s uncompromising commitment to technical excellence and customer support throughout the aircraft life cycle. Utilizes existing aircraft fueling/defueling system – only minor changes to operating procedures. Isolation valve system provides a positive seal and is more reliable than a check valve alone. 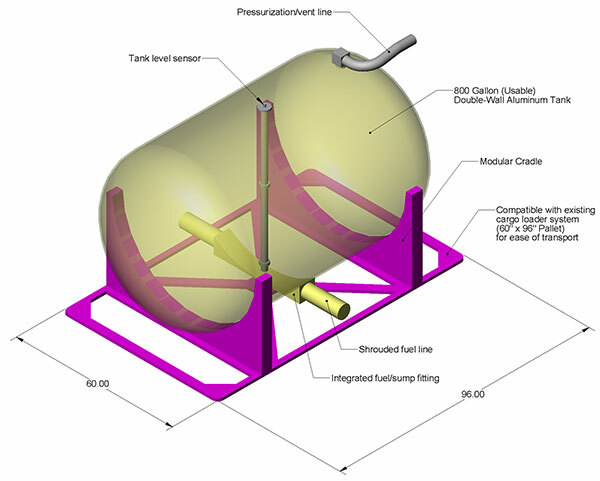 Fuel system components are external to the tanks. No access panels required for wet inspections! of the intended platform, yet modular enough to provide additional expansion, satisfying a wide range of customer requirements. 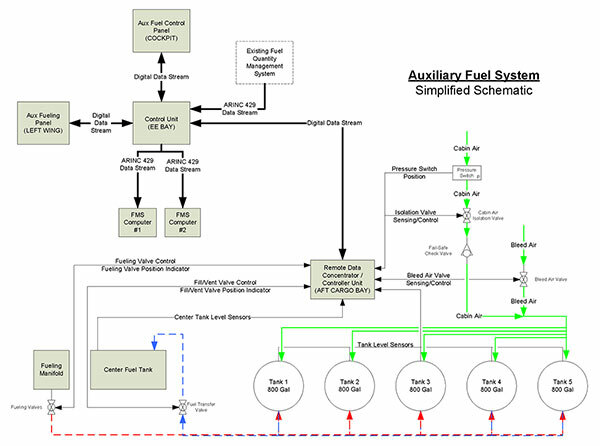 Aux Fuel Control Panel monitors and operates the system. Transfer of fuel is automatic when system is active, but can be manually stopped. Automatic cabin pressure isolation valve system prevents fuel vapors from entering the cabin when differential pressure is used as the pressurization source. Valve system provides positive, monitored closure to ensure proper operation. 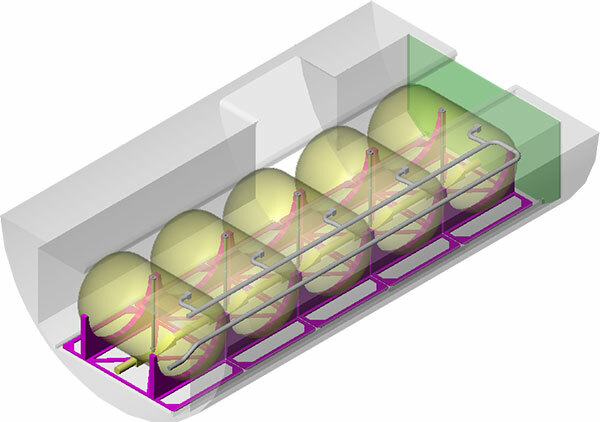 3D Animation showing typical operation of the Aerocon Auxiliary Fuel System. Typical system schematic, showing interface, control and sensor points.